The Temptations, Boyz II Men, The Dells, Dru Hill, and New Edition are some of the greatest groups in R&B music period. Unfortunately it seems like the R&B group has died with most singers more interested in individual fame and fortune. When you do get a group they are something put together on a reality show. What happen to the brotherhood of the group? That harmony that you can only get from people that actually know each other. Where is the love songs? Ahmir is the answer to your prayers. They are modern but they still got that street corner harmony of old. They are not talking about bling but talking about the love between a woman and a man. They aren’t talking about what you do with your bust-it baby but what you do with the woman you plan to marry. Ahmir was formed in Boston, MA and consist of KC Washington, Mark "Sing Sing" Robertson, Michael "Big Mike" McDonald and Leon "Mr. Jones" Jones. 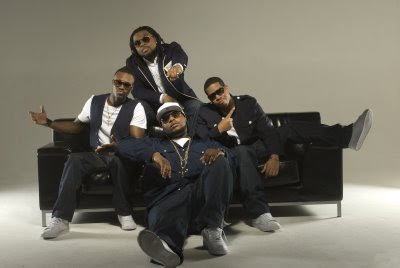 In 2006 they charted on billboard’s R&B/Hip Hop chart at #19 with “Welcome to My Party” They released their album “The Gift” April 11, 2007 and re-released "The Gift" in 2008. They recently signed their first record deal with Robbins Entertainment. As proof of their talent check out how they transformed a Miley Cyrus song "The Climb"